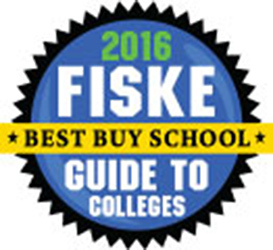 Wabash College was cited as a “best buy” for quality academic offerings and affordability, according to the Fiske Guide to Colleges Best Buys of 2016, which was released today. Wabash is one of 41 institutions nationwide to earn the rating, which identifies schools that offer outstanding academics and a high quality of student life on campus at relatively modest prices. The Fiske list includes three schools from the United Kingdom and Canada and is built of data from more than 2,200 four-year colleges in the United States. Wabash is one of 11 liberal arts institutions to make the list, and the only private school in Indiana to do so. The highly respected Fiske Guide was created by Edward B. Fiske, who served as education editor for the New York Times for nearly two decades, and has been published annually since 1984. According to Fiske, the relationship between the costs paid by families and the quality of the education is affected by factors ranging from the size of an institution’s endowment to calculations by college officials about what the market will bear. The Fiske Guide groups public and private institutions into four price categories, from inexpensive to very expensive. This 2016 list – 20 public and 24 private institutions – features school that best manage to pair outstanding academics with relatively modest prices. With its inclusion on the Fiske Guide to College’s Best Buys list, Wabash College has shown its ability to provide both a cost-effective education with a stellar return on investment for its graduates. The College ranked 50th nationally in the most recent PayScale.com ROI report. The PayScale.com report stated that Wabash graduates could expect to earn more than $597,000 more than a high school graduate over a 20-year period following degree completion, and more than $363,000 more over the same period than the median college graduate, which breaks down to better than $18,000 annually.